Planning a birthday bash for your little one can be really exhausting. Yup! I know the feeling mommies. 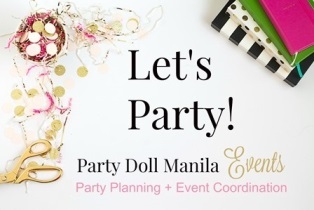 If you stumbled upon this post, I’m pretty sure you are on the lookout for a place where to hold your next event. We have a thousand things to consider in making sure that the celebration will be a blast. Among all the important items on our list, the venue could be the most crucial element of an event. I mean, how do we make our child’s dream party without a venue? Here are some prerequisites before picking a site for your child’s dream party. As the host of the party, we want our friends to feel cozy and comfy from the time they arrive up to the time they leave. Determining the number of your guests and finalizing your theme will help you select a venue that fits everyone perfectly but doesn’t hurt your budget. There should be enough space for the grownups to walk around while making ‘chika’ and for the kids to run and play with each other. Having too much unused room will make the set up look dull and empty. In choosing a location, we must also bear in mind that the area is accessible and our guests won’t have a hard time finding it. We don’t want them to be exhausted even before the celebration begins. When they arrive, an ample parking space must be available so all vehicles are safe while we are having a good time. So, to help all moms out there, we put together a list of popular venues that would surely give you an awesome setting for a blowout like no other! I hope this helps you decide where you want to spend one of the most unforgettable days of your mommyhood. If you want your venue to be listed on our directory, hit the ‘CONTACT’ button here on our page!